Placing a personalized brick or granite bench in the Diamond Terrace provides a permanent tribute. 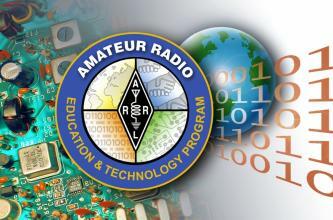 ARRL welcomes contributions to permanent funds to honor the memory of radio amateurs. Your gift to one or more of the ARRL permanent funds will honor a family member, friend or Elmer and celebrate the life of one to whom Amateur Radio has been a passion. Gifts in honor of a radio amateur can be especially thoughtful on a birthday, license anniversary or to commemorate a special accomplishment. ARRL will notify the honoree or family of your contribution, so be sure to provide the name, call sign and address information when sending your gift. ARRL will provide an acknowledgement letter to the individual donor or club making the gift. Gifts may be made on-line by credit card, by check through the mail or by gifts of securities. Contact ARRL Development at 860-594-0397 for more information on gifts of stock. SPECIAL NOTE TO PLACE INSCRIBED BRICKS IN THE DIAMOND TERRACE: Individuals or clubs wishing to make a one-time contribution of $250 in order to place a brick in the Diamond Terrace as a memorial to a Silent Key, friend or family member should complete the general donation form. Please use the "ADDITIONAL COMMENTS" section on the form to let us know that your contribution is to order a brick and to provide information for the brick inscription and who to notify of this special honor/memorial. A specially designed certificate representing the brick inscription is available upon request. Lucite brick replicas are also available at an additional cost of $21.95. If you wish to send a check, please print the form, complete it or attach a separate note and mail it with your contribution to ARRL Diamond Club, 225 Main Street, Newington CT 06111-1494. If you have questions, please call ARRL Development Office at 860-594-0348.